This detached garage plan features traditional exterior styling that will blend with most homes. 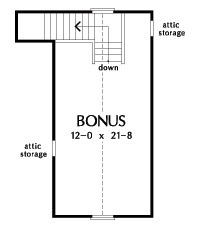 The loft-like second floor offers additional storage space. 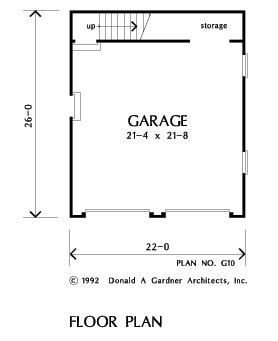 House Dimensions: 22' 0" x 26' 0"
Bonus Room (Cathedral): 12' 0" x 21' 8" x 11' 0"